Searching: Search All - Finding books, e-books, journals, articles, theses etc. Welcome to your Business School Subject Guide! The purpose of this guide is to help you with your study and research by gathering all the resources that you will need (books, journals, databases, websites and a referencing guide) into one place. Please contact your Faculty Librarians, Jill Otto, Sue Rionda or Mbuleli Mpokela for additional information and assistance. Robert Phillips provides a detailed analysis of the current controversies in stakeholder theory and examines several controversial candidates for stakeholder status - including competitors, activists, and the natural environment - and provides a means for determining who are and are not stakeholders and why. This game-changing book details a new approach—entrepreneurial leadership—developed at Babson College, the number-one school for entrepreneurship in the world. Environmental and social impact assessment (ESIA) is an important and often obligatory part of proposing or launching any development project. Delivering a successful ESIA needs not only an understanding of the theory but also a detailed knowledge of the methods for carrying out the processes required. Riki Therivel and Graham Wood bring together the latest advice on best practice from experienced practitioners to ensure an ESIA is carried out effectively and efficiently. Africa has experienced two liberations: the first from colonial and racist regimes, and the second from the autocrats who often followed foreign rule. 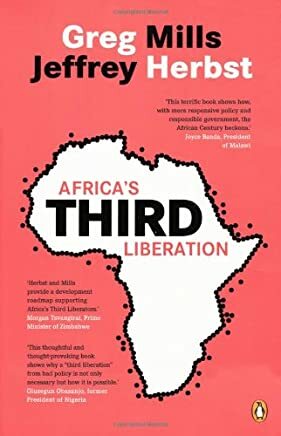 African countries now have the potential to undertake a third liberation--from political economies chracterised by graft, crony capitalism, rent-seeking, elitism and social inequality. This third liberation will open up the economic space in which business can compete--a necessary condition for expanding employment. During the 2000s, the continent had its best growth decade on record since independence. High commodity prices offer a launch pad for sustained growth and employment creation. Now is the moment for African countries to act. Need Help Accessing Library Resources for your Business School Courses? Ask a Librarian Use Ask Us! for questions you might ask a librarian in person. You can search for answers to previous questions here, or ask a new question. In all its programme offerings, MBA, PDEM, executive and short courses, Rhodes Business School emphasises the balance which needs to be placed on the social, environmental, economic and ethical performance of organizations which is essential to their sustainable impact and performance. All organizations need to understand these imperatives, as well as to be empowered to respond practically and appropriately. The Rhodes Business School offerings aim to do this. ‌The Rhodes Business School MBA programme is accredited by the Association of MBA’s (AMBA). Off-campus users (staff and students) should note that they will be prompted for a staff/student barcode and PIN in order to access the library resources. Ask Us - Questions? We've got answers for you !